Calling all “Hawaii Five-0” fans. 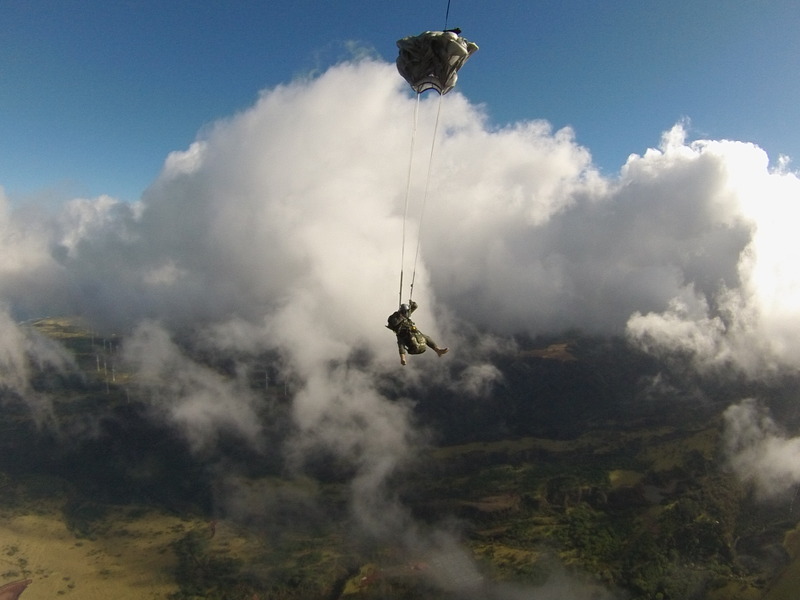 Two Special Operations Command Pacific jumpers from Joint Base Pearl Harbor Hickam recently performed a free fall jump out of a C-17 Globemaster III as stunt doubles for the show’s actors. Maj. Aaron Lawson, Special Operations Command, Pacific jumper and special tactics officer served as a stunt double for “Hawaii Five-0” actor Alex O’Loughlin, who plays Det. Steve McGarrett on the show. Marine Corps Staff Sgt. John Phillips, also a SOCPAC jumper and parachute rigger, made the jump with Lawson. 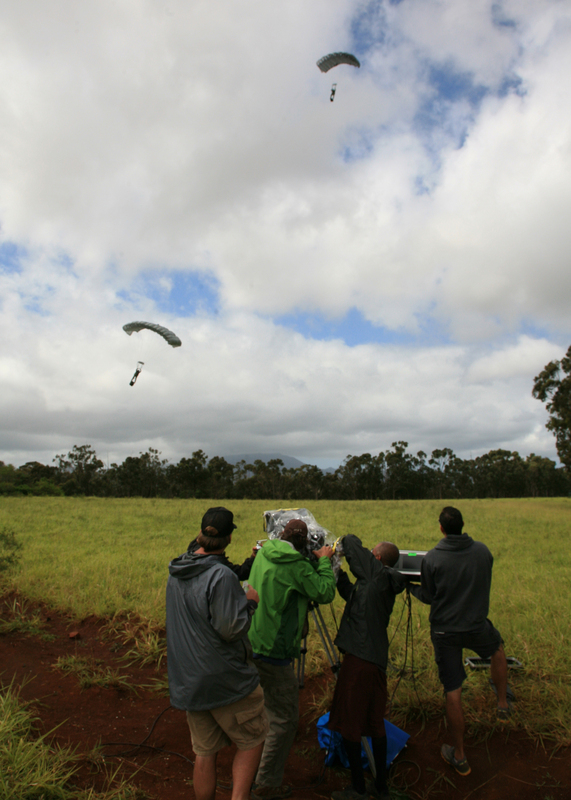 The jump was filmed by veteran free fall cameraman and skydive cinematographer, Tom Sanders. He exited the plane just before Lawson and Phillips to get the full shot of the jump. Look for the episode, which airs Monday, April 15 on CBS at 10 p.m. Eastern time. View more photos of the jump here. In addition, “Army Wives,” the popular Lifetime drama which premiered its seventh season March 10, recently filmed the show at Joint Base Charleston – Air Base, S.C.
Actress Brooke Shields joins the show as Air Force Col. Katherine “Kat” Young, who’s a crack pilot who can hold her own in the boys club atmosphere of the military. Check out cast members of “Army Wives” at Joint Base Charleston here.